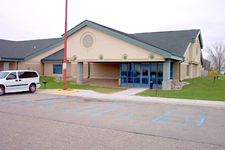 The At-Large/Member Services center located at the Isabella Reservation. To promote Tribal Unity of the Saginaw Chippewa Indian Tribe of Michigan; to assist Members to enhance self-sufficiency and healthy lifestyles through advocacy, leadership and effective programs and services. The program will continue to inform Members of the existing local and Tribal resources and coordinate services and assistance. Advocate and/or provide funding for Indian specific programs to help fill the needs in local communities. At-Large/Member Services will maintain a quality relationship with the Tribal Community. Provide activities for personal growth, understanding our history and appreciation of our Tribe's cultural role in today's society. Facilitate services for an improved quality of life and healthy life styles for Tribal Members.